Choosing Synthesis or Control turns Shepard into a Husk with Illusive Man eyes? There is more gun strangeness but I have moved that to section 3 "Clutching at Emergency Induction Ports". Then there is all the strangeness with Anderson being nowhere to be seen after being hit by the laser, but he claims to follow you into the beam. Then comes out somewhere else, seems to see completely different things to Shepard and somehow manages to reach the panel before Shepard. And Anderson appears to be unharmed in anyway, even though he has lost all his weapons?! I think we can be certain that what the Illusive Man is doing to control Shepard and Anderson is related to Indoctrination. And while there is no precedent of anyone controlling another person in such a direct way as to make them aim a gun at someone against there will, the oily shadows and alien voices should be seen as proof that Shepard is the victim to a form of Indoctrination at this point. When the Illusive Man makes Shepard aim the gun at Anderson, Anderson also raises his hand to mirror Shepard but has no weapon. Then the Illusive Man makes Shepard shoot Anderson in the left side of his stomach. When he does this we hear what sounds like two grunts, one from Anderson and the other from Shepard? The same place where Shepard has been clutching since waking up from being hit by Harbingers laser. Maybe the Illusive Man brought the gun himself? Well he also does not appear to have a gun at any other time in the scene. And nowhere to hide it either! Interestingly the gun the Illusive Man produces from who-knows-where is a Predator model. The very same model Saren used when Shepard was able to convince him to shoot himself! Coincidence? Or is Shepard piecing this together from memories? 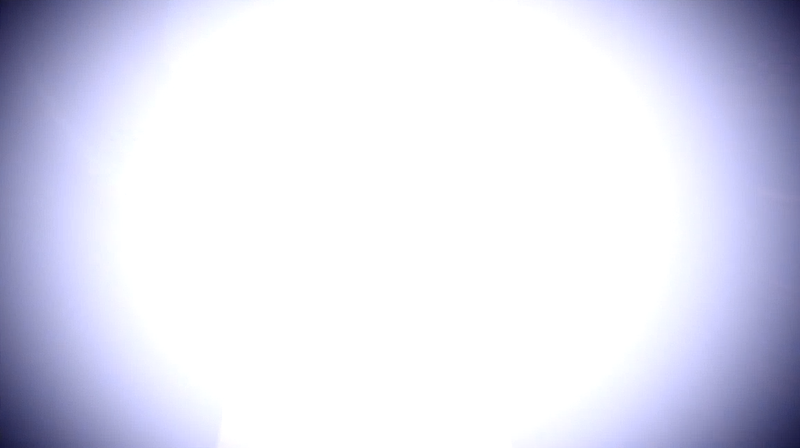 UPDATE: Thanks to LoneIrbis' flycam video of the ending we can actually see that opening the Citadel does in fact cause this platform to raise! Really strange! Why would that happen!? And finally probably the most important fact of this strange scene. Why is it that if Shepard is successful in saving Anderson from TIM, Shepard only needs 4000 EMS (rather than 5000) to "wake up" alive after choosing Destroy? A fact that is confirmed in the Official Guide. Anderson still dies a few minutes later. Apparently from the gun shot wound from Shepard, which is also odd because it would take much longer to die from that sort of wound. Especially when you consider how much worse Shepard it. Why would Anderson living for a few minutes more be worth an extra 1000 EMS?! All he does is sit down and talk to Shepard for a minute. That hardly adds to the war effort. The only way this makes sense is that Shepard saving Anderson represents an element of successfully resisting Indoctrination. If TIM represents the Indoctrination and Anderson represents the part of Shepard's mind resisting Indoctrination, only then does this fact make sense. First Dream Sequence: Shepard chases the boy (who at this point is laughing) through a foggy woods. Once Shepard catches up to the Boy a Reaper is heard and they are both bathed in red light. The boy runs away and the Reaper light and noise is gone. When Shepard catches up with the boy the second time he looks at Shepard with a sad face and is engulfed in flames. Second Dream Sequence: Shepard approaches a bench where the boy is sat that is surrounded by ghostly presences that are made of oily shadows! 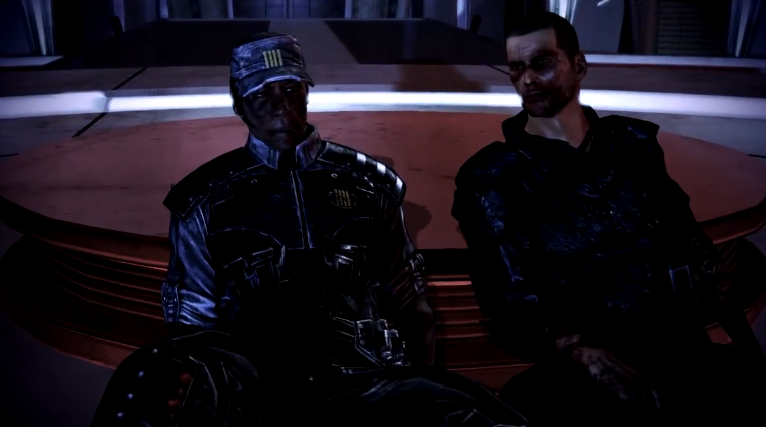 Shepard also hears whispers presumably from the oily shadows, some of them call Shepard's name. When Shepard reaches the bench the boy is lit by a Reapers red light and the Reaper horn is heard, the boy runs. Wrex can be heard saying Shepard's name (not sure if this only happens if Wrex is dead for you). Shepard reaches the boy again, cue the Reaper light and horn, the boy flees again. The whispers increase. 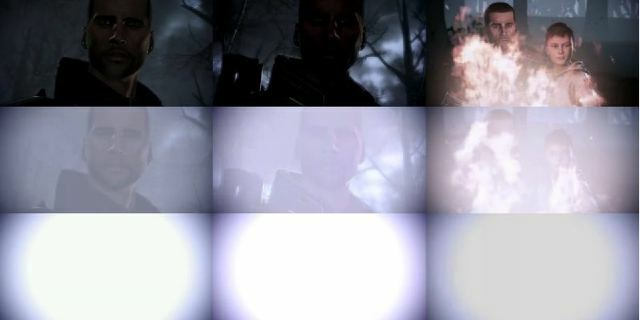 Once Shepard reaches the boy he is again engulfed in flames. 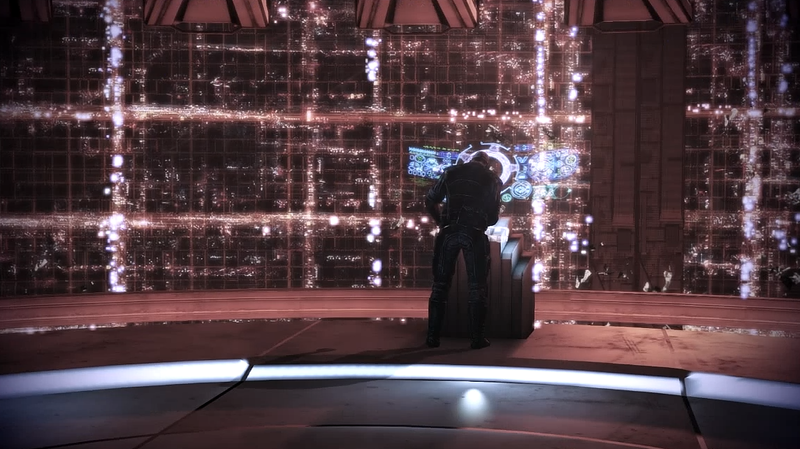 How is it that the beam takes Shepard and Anderson to a place where they only need to walk through a few corridors and they are exactly where they needed to be? At a control panel that opens the arms. If the beam was being used by The Reapers to transport humans to the Citadel for the supposed purpose of making another Human Reaper, where are the Reaper forces working to do that? Why do the Reapers have the transport beam open at all if no Reaper forces are using it? When Shepard and Anderson get there all they find is dead bodies, Keepers that appear to be doing nothing and a path leading directly to the control panel to open the Citadel arms thus leading to the failure of the Reapers plans! None of this makes any sense! 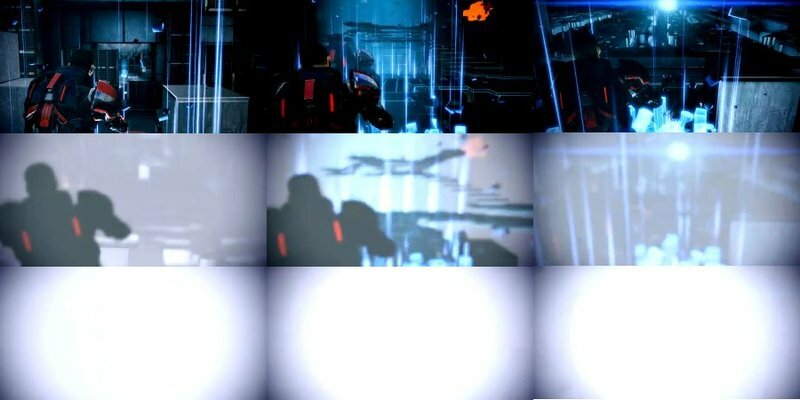 Why does Hackett contact Shepard out of the blue, with no prior contact since Major Coats claimed everyone was dead and now Shepard is alive and was the one that opened the Citadel arms? Why did Hackett not try and contact Shepard before this point? Not even to say "Shepard!? Are you there? Was it you that opened the Citadel's arms?"? It is extremely interesting to note that in the last mission, Priority Earth there is suddenly a slight amount of weapon bob that happens with your cursor. 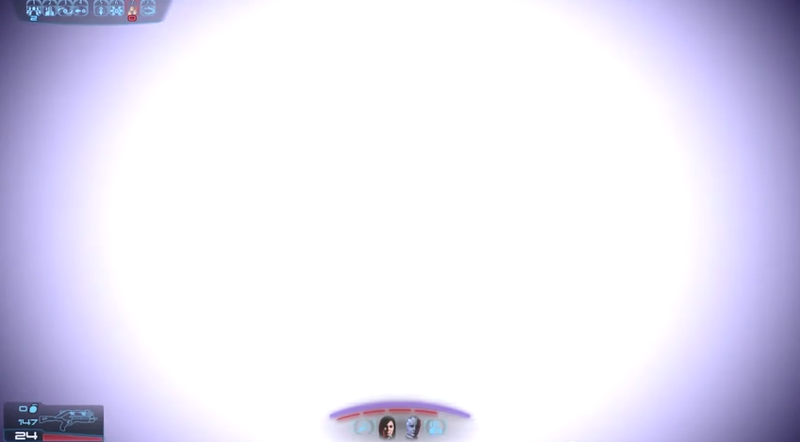 This is exactly the same effect that occurs after Shepard is hit with Harbingers laser, only more subtle. This did NOT exist earlier in the game! Could this be a hint at early signs of Shepard becoming under the influence of Indoctrination? Can anyone seriously argue that this is because Bioware were lazy? This was clearly done on purpose, if not related to Indoctrination, what could that purpose be? Bioware were going to have this in all the game and forgot to take it out of the last mission (this is a very unconvincing counter argument, but the best I have). Thanks. I will investigate and capture video from the scene with the Asari in ME2. I already have the video of the boy running through the locked door in Section 3 (be sure to click the MORE EVIDENCE button at the bottom of the page). Oh no problem! I just wanted to make sure you didn't miss all the other juicy info on the next pages! Thanks for the vid, I'll investigate shortly and add the relevant info! Wow, even more evidence appeared! Thank you so much. I must also apologize for my not-so-perfect English, but here's what I thought of recently. It's a feeble argument, but I hadn't noticed it anywhere yet. It might just be me, but ME3 reminds me of another EA game, Dead Space. At first, the similarities aren't many - there are silent walks in open space, glowing line on the back of Shep's armor, fighting husks. But most importantly - Isaac Clarke (DS protagonist) was somehow changed by an alien Marker(! ), there's a Convergence(!) 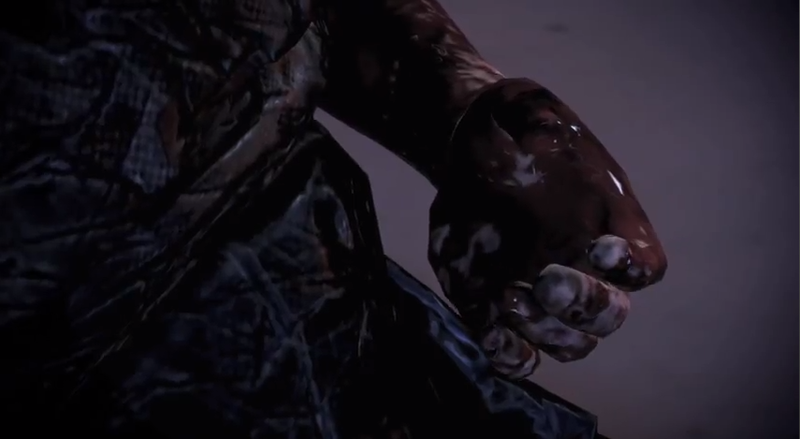 being triggered in the end, Isaac is gradually going insane and has visions of his dead girlfriend Nicole (whom he couldn't save) and in the end... I'll just quote Wiki if I may: "As Isaac approaches the Marker, the Nicole vision suddenly pulls him into his own mind(!). There, Isaac encounters the parts of his mind affected by the Marker(!) and the Nicole vision(! ), who then reveals that the only way to make the Marker "whole" is to absorb the body and mind of the one who created it—in this case, Isaac himself(!)." The final battle is happening in Isaac's mind (though it's pretty obvious, no indoctrination tricks there). I'm not saying anything, but BioWare MIGHT've been influenced. It's EA game too! I'm also very sorry if somebody mentioned it already. I have always found this theory fascinating, and your article seems to cover all the bases here. It's very well-done and thorough and I hope you don't mind if I refer this link on my blog :) I am currently writing an article on this very issue. There is certainly compelling evidence to support the Indoctrination Theory, some of it is almost irrefutable that you begin to ask that this was what the developers intended all along, guess we won't know til the Extended Cut arrives but until then this theory certainly holds a lot of water. By all means link to my guide on your blog! I wrote it for people to read, the more exposure the better. The bodies that look remarkably like cadaverous versions of Ashley and Kaiden are there before the alleged indoctrination attempt. During the charge to the citadel beam, pull out your sniper rifle and and look to either side of the beam. I guarantee you'll see the bodies. 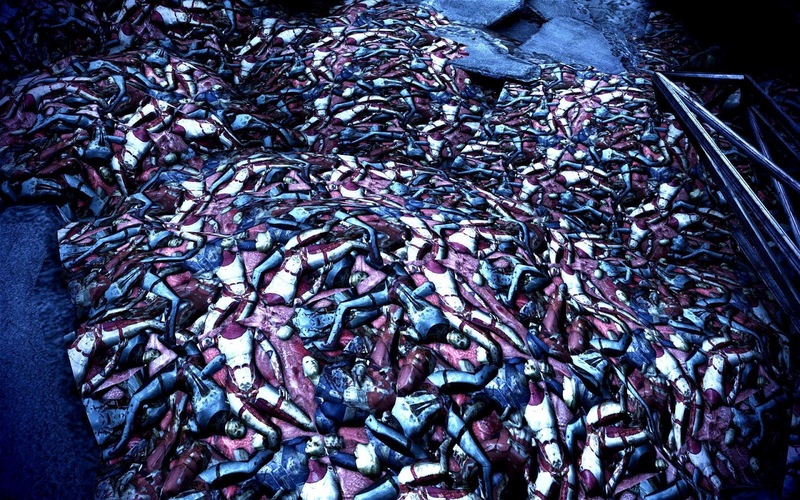 Also, in Mass Effect 2 I found a couple of bodies that look similar to the "Ashley" cadavers during the mission in the Collector ship. I'm not saying they're the same, but they are similar. Another thing about Coates I think should be mentioned. Why is it that Shepard does not attempt to contact Coates and contradict his assertion that the entire unit was wiped out? 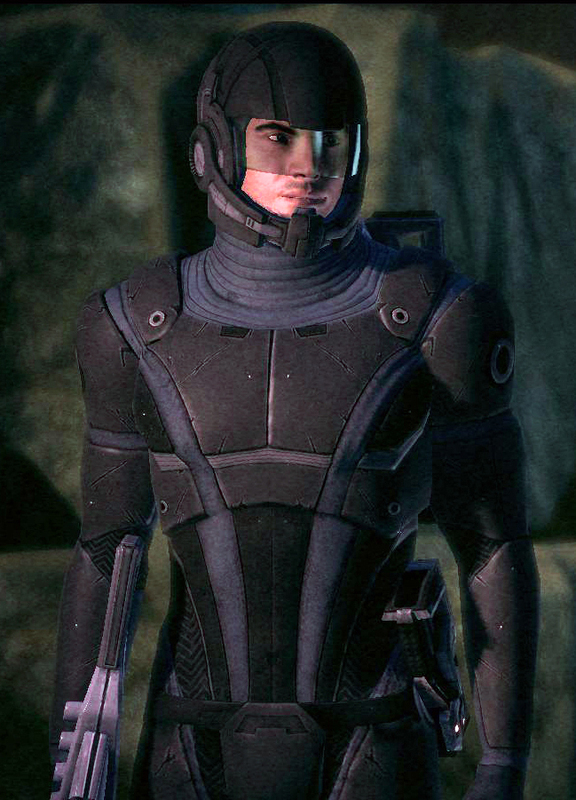 Presumably, we are hearing Coates over Shepard's radio; and Shepard is fully capable of communicating with others, as is evident from his conversations with both Hackett and Anderson on the Citadel. So, why is it that Shepard does not even attempt to communicate with the person who is overseeing the charge on the Citadel? I know this is a minor point when compared to the other egregious things that occur in the ending, but it has always bothered me. You mentioned Hackett, and there is something that has been bothering me ever since I beat the game. When Hackett contacts Shepard, he claims that the Crucible isn't firing. He is very concerned about this, as he should be, but when Shepard ascends to the Star Child, Hackett, apparently, loses all interest in the Crucible, as he doesn't contact Shepard for the rest of the game. Really? He doesn't even seek an update? Hackett: "Shepard, what's taking so long with the Crucible?" Shepard: "Well, there's this ghost child telling me that he created synthetics to kill organics, so that the organics won't create synthetics that will kill the organics." Shepard: "Dont ask, don't ask...."
LOL, all very good points! Noticed something else (although it's not really indoctrinated related). When Shepard comes face to face with the "Kid" in the vent, "An End, Once And For All" is playing subtly in the background. Maybe a bit of foreshadowing on Bioware's part. After all, music is used as a storytelling device to reference characters (and other things). Star Wars is a great example of this. Another item of note: Shepard doesn't just lose his/her weapons after getting hit by the laser. He/she also loses the ability to use biotic and tech abilities; as I found out when my Vanguard Shep tried to take out those husks using my preferred method, warp. After my Shep was hit by that beam, I thought I did something wrong. I even wound up letting the husks kill Shep on the first attempt, because I couldn't understand how she could take out enemies with one crappy pistol and no biotics. That said, while I like what people have done with IT, I'm still willing to chalk all this up to bad storytelling. There's just so much wrong with Priority: Earth well before you get to the beam, that it's pretty obvious that Bioware ran out of time. The dreamlike qualities of the final ten minutes could simply be storytelling conceit. Seems an absurd stretch to me to say that Bioware accidentally left all these great clues for something they did not intend rather than they did intend them. Also seems more likely that legandary great writers, know for great twists at Bioware came up with a brilliant but too subtle twist rather than they wrote a terrible nonsensical ending. Also they do not make games in the order you play them. The final part of the game was not done last, so it would not have been "rushed". The end of the game would have been written very early in production and worked on throughout. When games are rushed in the final months it results in bugs and possible sections cut out. Not sections written poorly. The writing is often still having final touches and improvements at those late stages but the idea they rushed the ending makes little sense in game development. When you know this about game development you realize that everything in that final mission is how it's meant to be, very purposely. You think that great writing staff at Bioware did not notice all those plot holes? Not a chance. According to Bioware's own admission, they didn't come up with the ending to the game until November 2011, when they were looking at a March 2012 release date. That's four months (even including the holiday season which is lost time for most companies) to storyboard, write code, bring in voice actors, do quality control, send the game out to whoever/whatever creates the physical copies. I guess they could be lying about coming up with the ending at literally the last minute, but that seems pretty far fetched to me. No that is an absolutely incorrect statement. Bioware have NEVER stated anything as absurd as coming up with the end as late as November 2011! They have repeatedly stated that the whole game including the end was worked on from the start of development. Yes certain elements changed along the way, but it is simply NOT true that they came up with the ending 4 months before release. They have NEVER said that. In fact in the Final Hours of Mass Effect 3 app they clearly state that they were refining elements of TIM's lines in November 2011. So the end was DONE all that was left was tweaking. They can not be tweaking the lines AND writing a whole new ending. It would be insane for a developer to wait until 4 months from release and then decide to write the ending. Also the beta was leaked Nov 4h and the ending in the script in that beta was almost identical to the final game. I don't know where you got your information, but it's simply false. LOL, sorry. I am pretty busy at work. I did read your comment but didn't get a chance to reply. Interesting thoughts on the Dead Space 2 connection. I however have not played it, so not much I can comment on in that regards. Could be that it influenced Bioware to some degree though. Anyway, BioWare bave been using lots of material from other movies, games etc. so I wouldn't be surprised. It's just that the more I think about this, the more DS2 and ME3 endings seem alike. And thanks again for all your hard and incredible work at collecting all the data here! During the second dream sequence, turn off the music and just listen to the sound effects, you'll hear an assortment of Reaper sounds. You might have to increase the volume of your television or computer to hear them though. I posted on an outdated site, sorry. I just want to thank Lee for compiling all of this. It is quite an achievement by itself. As I said in the other post, I was a skeptic, but now do believe the Shep is under the influence of something. Whether that is indoctrination or some kind of mind battle between her and the Reapers, I don't know. I do believe that the ending we got is it. There's nothing else to come and that the final battle between Shep and the Reapers took place both in Shepard's mind and in the real world at the same time. Though I may not agree completely w/ IT, this is still a fascinating read and a lot of fun to explore. Thanks! Good point. It would be a very odd place for an engine. Hi! Look at the EC page. I noticed something else. You know Anderson's gun, the one you pick up after being hit by Harbinger? That was clearly a Carnifix, and everyone knows that a Carnifix holds only 6 rounds per thermal clip. Then how come I was able to use exactly 13 rounds to put down the husks and marauder without having to reload? Not even an extended clip holds that much ammo. This was Bioware's plan. To pull a Mass Indoctrination on their own customers. They've succeeded in doing so. Charles. The gun that you have is a special gun specifically made for the ending. Going by how the game engine works, they used the same model, but modified the gun to have no scope, infinite ammo, as well as a 999 mag size (ammo per clip), unlike the regular Carnifex which behaves differently. The gun even fires faster than the regular Carnifex. This isn't a mistake or anything, it was done on purpose to simulate that what you are experiencing is not really happening. Reaper indoctrination corrupts organic minds. The final 20 minutes of the game do not take place in the real world. They take place in Shepard's mind. This whole concept has me hooked almost as much as I am hooked on the games. I've been thinking about it a lot and decided to set up an account here just so I could post this. See, there are things we are not considering that I believe support this theory. What we haven't asked ourselves is where the Mass Effect 3 endings leave us as far as a potential Mass Effect 4. 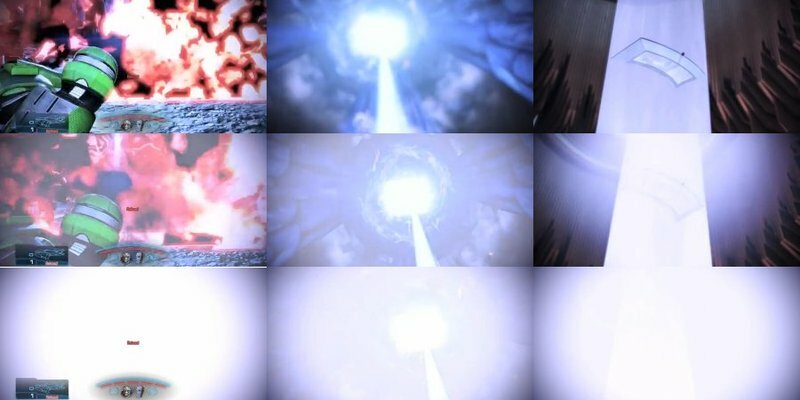 As these endings both leave the Normandy crew stranded and involve destroying the Mass Relays (Necessary to give players the whole galaxy in future games) and there have been no other interesting wars involving humans in which they had contact with the rest of the galaxy (not just the turians but everyone else to) these endings do not seams to lead to a Mass Effect 4 which we know is coming. We also know that the Reapers generally take years if not decades to wipe out a galaxy. We know from our prothian friend that in his cycle people lives whole lives never seeing either the end or the beginning of the Reaper war. He himself was born after the Reapers took the Citadel and grew to adulthood during this war. What if YOUR commander Sheppard the way YOU set him up in 1 2 and 3 with the skills and appearance YOU game him or her ends up being the protagonist in the next game. It's been done before. Star Wars 1 2 and 3 were intended to show that even in 4 5 and 6 it was supposed to be the story of Darth Vader. What if when Sheppard wakes up still dealing with the indoctrination the war continues with an indoctrinated Sheppard leading the Reaper charge? For that matter, what if Bioware did this intentionally to get us to think crazy things so we could inadvertently create the story for the next trilogy? What if they intended the fans they created to rebel against the game maker that created them so that we could decide what happened at the end of Mass Effect 3. What if the indoctrination theory is true not because Bioware made it that way but because the ending was designed so that we could give it the meaning we wanted to? I don't personally believe the same version of IT that everyone else does. It's kind of similar to a post on the BSN titled "Mass Effect 3 Ending is a Masterpiece"
Only difference being, it is not a dream, but rather a virtual realty world constructed by Harbinger. Using Shepard's memories. Seeing as the ending chapter of the Final Hours App is titled "The Perfect Illusion" and going by the "Master of Illusion" trope, everything within the ending sequence fits that to a T. With past sci-fi, I know that any changes in the virtual reality world affect what happens in the real world (think Geth Consensus). So shooting the tube (in destroy) will set off the Crucible and kill the Reapers in one swoop. Then Shepard wakes up and everything is silent at the end. Same goes for control/synthesis. Choosing synthesis, will harvest everyone (that can be harvested. Squadmates are indoctrinated to serve for slave labor (harvesting codex entry)), give them Reaper DNA (Final Hours App), and everyone becomes loyal to the Reapers (as per EDI). Control? Well, essentially take "assuming direct control" and apply that to everyone in the galaxy. You are now like TIM. Ending is also kind of similar to something the Rachni Queen said in the first game (for those who think this may have been planned ahead of time, as a certain article noted that the ending was in the works from the beginning of ME1 with multiple versions (dark energy, indoctrination, Shepard being an alien, TIM Reaper boss, etc). Rachni Queen: I do not know what happened in the war. We only heard discordance. Songs the color of oily shadows (TIM, Starchild). Shepard: I need to stop the Reapers. Do you know how I can do that? Starchild: Perhaps, I control the Reapers. They are my solution. Rachni Queen: A tone from space, hushed one voice after another. It forced the singers to resonate with it's own sour yellow note (indoctrination). Then we awoke in this place (Earth). The last echo of those who came out of the singing planet (Earth). The sky is silent (no more indoctrination, because Reapers are destroyed). Shepard wins, mass relays intact, and Joker/everyone else did not crash on that planet. That is just part of the indoctrination process (Reapers resulting control of Shepard's limbic system makes him susceptible to believing whatever they tell him). Its been a long time since I played the games so I do not know if it makes sense but while reading some of your work and the links your provided I came onto something. There is a moment when the illusive man says: see what power they wield, see what they can do? What if the illusive man is saying this to the reapers? Because in the end, sheperd is synthetic in a way and Anderson is organic I think? Like I said it has been a long time since I played the games, I just go with what you and others wrote. So in a way, when Sheperd shoots Anderson it is a syntethic life form that kills a organic life form. Are the reapers not there to prevent this from happening? That synthetics kill all organic life? But sheperd did not do this on his own, he was controle by illusive man. What if illusive man is in a way the Catalysator? 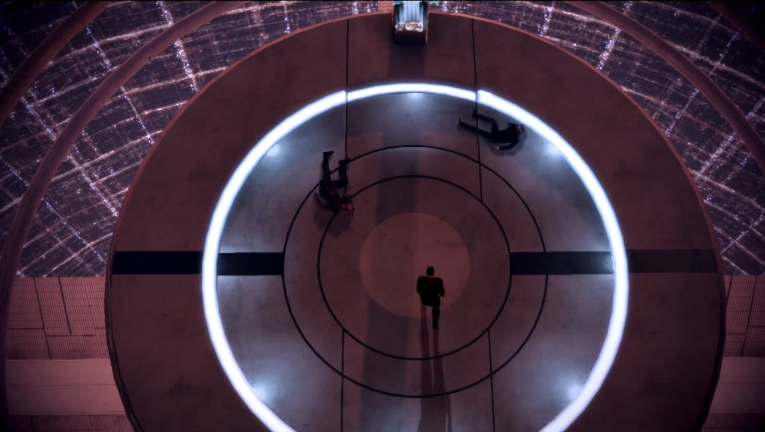 That he really controls the reapers. That he controls everything. 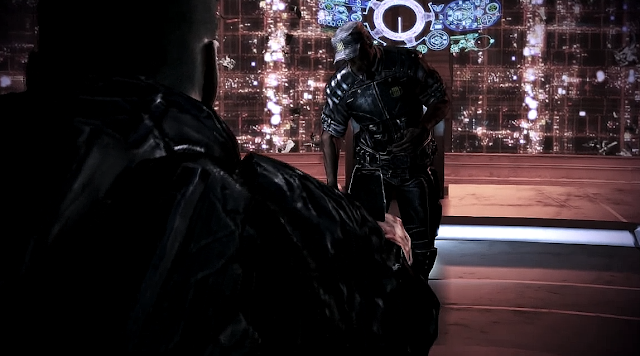 In that way it is easy for him to make Sheperd shoot Anderson and why he does that he says to the Reapers: look what power they wield (Sheperd as synthetic) look what they can do (Sheperd shooting a good friend which is organic) All for giving the reapers a good reason to end all organic live form. Is Illusive man organic or syntethic? Does he really need to be afraid of the reapers killing all organic life form? Was his apprentice, the girl that contacts Sheperd and builds him up in a way also not syntethic in a way? Is it to far fetched to believe illusive man is also syntethic? What about his eyes? Why does Sheperd get the same eyes when he chooses to control the reapers? Is this not prove that Illusive man, who has the same eyes, controls the reapers? But this is probably not true because I really do not know anything about the game anymore and I can only go on what I read here... Sorry if it is stupid what I say but these things came to my mind while reading it. What if illusive man never wanted to destroy the reapers but wanted to make sure that the reapers destroyed the only person who could destroy him? Shepperd. You know what guys. I think the final and decisive evidence for me in favor of indoc theory was this: we don't have the final battle. It was supposed to be with reapers, right? The whole ME trilogy was building up to this moment - the final battle with Reapers, not letting the Reapers harvest organics, by any means possible. And bamm no fight. The Illusive man is definitely the mini-boss at most, as the fight with him can be easily skipped by the suicide route. So why there is no final battle with Reapers? Because there is one, just not the one we were used to and expecting to take part in. It is happening in Shepards mind. Shep is not indoctrinated up to this point, but after the Harbinger says "Join us" upon releasing the beam, the fight starts. It has a few phases - like any significant boss fight would have - with approaching the Citadel and roaming though it, with Anderson-TIM antagonism aka sane, "soldier" if you will, part of Shep VS ready to give in to indoctrination part of Shep. And finally with the Starchild, as the final Reapers' attempt to make Shepard join the Reapers. Quite a desperate attempt as in the "real" world the Crucible was actually about to go off and recruiting Shepard was probably their last chance to stay alive. There is a fight, not a traditional one, but what a fight it is. It's just epic. And there is only one way to win it - to destroy the Reapers, being true to yourself and the path you chose.